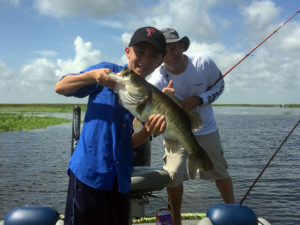 www.okeechobeejust4bass.com was fishing with Mike Connors and his son, Billy celebrating his 11th birthday. This was a 4 hour charter with wild shiners and artificial. Here is a picture of one of the fish they caught.